One glimpse at this Camila Boho Necklace and your friends won't stop talking about it! 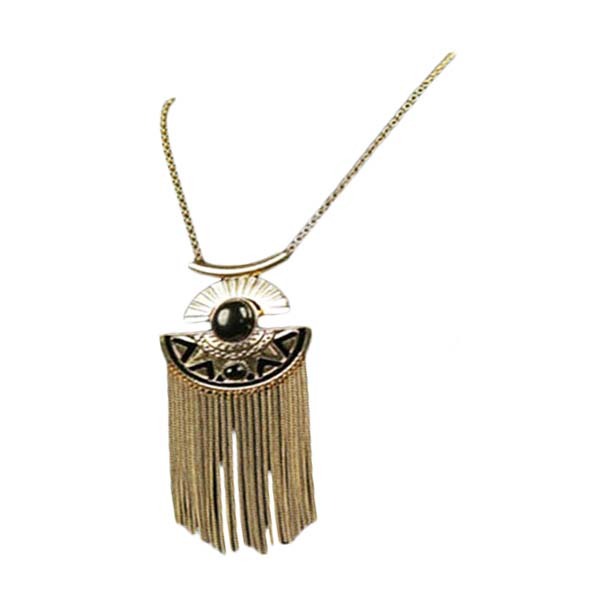 It features generous fringe detailing and large pendant with black stones. Add any of our attractive boho necklaces to your favorite outfit to make it pop!